An overwhelming number of animal hoarding, cruelty, neglect, and abandonment cases have come across my email in just the past week. I have actually been unable to follow all that is going on because there are so many. And I mostly hear about rabbit cases! Dogs and cats face this crap in even higher numbers. Close to home, Fort Wayne ACC has contacted us and other local rescues to take some of the 53 animals seized (one account says 58) in a cruelty/hoarding case where the animals were kept in a basement, from rabbits to dogs to lizards to hamsters. The house was then condemned. We (IHRS) have taken in a couple of rabbits from FWACC. Twelve guinea pigs are part of the confiscation, adding to the other ~150 or so in rescues from Indy to Chicago. 150 homeless guinea pigs right here!! I’m adopting one and donating to another group. Some of the piggies are listed at Petfinder, and for the lame excuse “I only want a baby pig,” keeping the pet stores in business and the problem cycling, yes, there are even babies in local rescues. 119 rabbits, mostly lops, were seized from a breeder in Tennessee as part of a hoarding/cruelty case (which also included 30 dogs). Amazingly, rescues around the country (including one of our fosterers) were able to step in and all rabbits have already left the original shelter, which had no way to house and care for so many. Happy news, right? Well, there’s a brief article about ten of the rabbits who were accepted by another shelter, where many breeders have stepped in with cranky comments, not to mention the hateful “Hitler” emails to a shelter staffer. Note there are also positive comments at the article from folks more of my mindset, and this is all much like the smaller scale crankiness that occurred on this blog as I documented our volunteer work during a similar case. 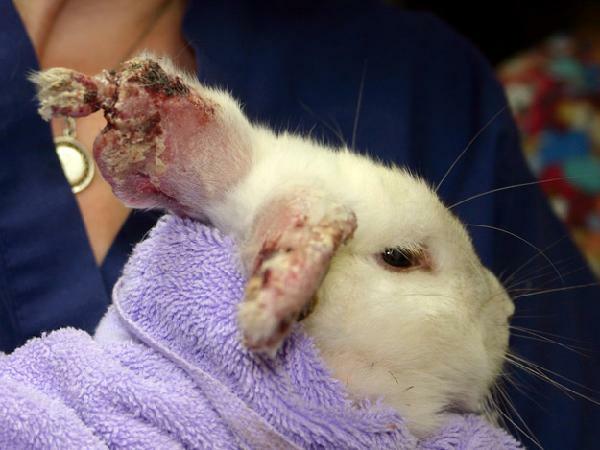 360 horribly abused animals, including 50 rabbits, are being cared for in a Missouri shelter. From dogs to donkeys to rats, this case is really revolting. Nearly 30 rabbits have been caught so far that had been running loose in south San Francisco the past few weeks. Many are now being euthanized as the shelters run out of space. Rescues are scrambling to place as many as they can. Buffalo, NY SPCA, a few weeks ago: 46 rabbits, 10 birds, three cats seized from a home, owner charged with cruelty. 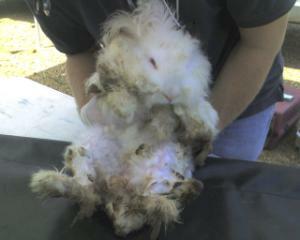 Two dead rabbits were also found. 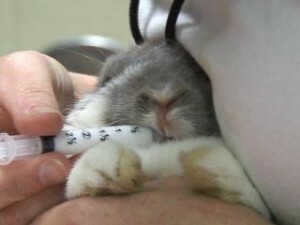 Thirty rabbits still remain at the shelter and no one from the public can surrender any more as a result. 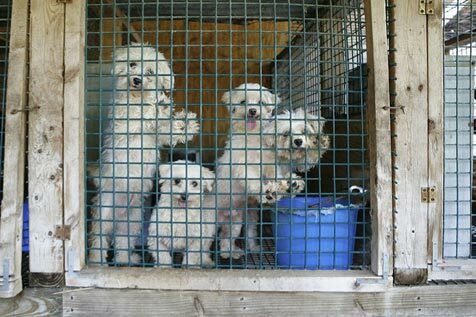 Best Friends has partnered with shelter investigators to remove 1,000 mostly small-breed puppies from a West Virginia puppy mill. Then there’s the guy from Illinois who was arrested for beating a cocker spaniel with a hammer after its owner paid him $25 to kill it; his dogs are now sheltered and the ones who lived need new homes. Apparently he has also been paid by other people to perform this service. And there’s the woman in the Bronx who was arrested for bringing her 25 cats to the ASPCA in sealed plastic bins in her trunk. Many died. In many of these cases, the shelters must care for the animals while court cases are pending, causing a huge drain on resources (shelter staff and volunteers, supplies, veterinary care, and of course funding). Please keep these animals in your thoughts and if you find yourself in a position to help, donations or time are always appreciated (and of course adoption of available animals!). Some days it seems so overwhelming I don’t know what to do. Even if you are far from these cases, helping your local shelter or rescue helps them all, especially as space is made in one spot that can relieve the overcrowding at another facility. You can even donate to the ASPCA’s emergency hay fund for horses who are displaced as hay prices have climbed. More info can be found at the national House Rabbit Society website and through the links above. HRS has an emergency fund to which anyone can donate online or by mail. The typical recipients include some of the rabbit cases described above. All pictures came from the linked shelters and my accounts are from public information or permissioned email lists. Hooray for Annie and Lucy, two dogs who were adopted by my family members this month. Shame on anyone breeding or buying while shelter pets die. This entry was posted in Indianapolis and beyond, Pets/Rescue, Social commentary/rants by Amy. Bookmark the permalink. 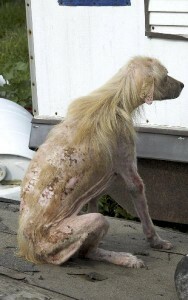 I don’t understand what is wrong with someone that they would treat animals this way. I just can’t understand it. I donated to Chi Chi’s Fund at the MO shelter. um, intellectually I knew most of that but reading again and the pics?